Ag in my Land is an online series that celebrates farming globally, providing an insight in to what life is like on-farm around the world. Emily's journey here at FG has been made up entirely out of luck. 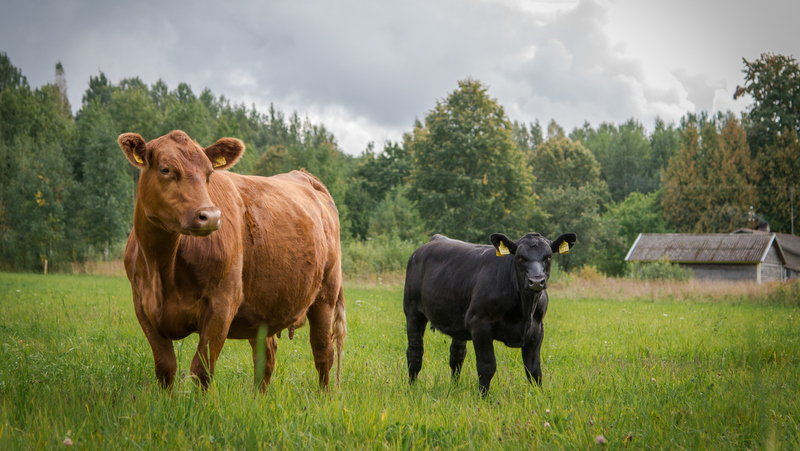 In South West Estonia, Mariliis Kutsar farms pedigree Aberdeen-Angus cattle and has started her business from scratch. Maru Farm lies right in the middle of the forests and bogs of South West Estonia - 7 Km from the Latvian border. The land here is extremely flat with no hills at all, and just to get here you have to drive along several kilometres of dirt roads. I have an old barn from Soviet times that stands alone, about 1 km away from my farmhouse. Most of my fields are small (only 1-5 hectares), so there are a lot of them. All in all, it feels kind of mosaic. How big is your farm? I currently farm on 70 ha but ideally I want the farm to grow to about 120 ha. What do you farm and on what scale? 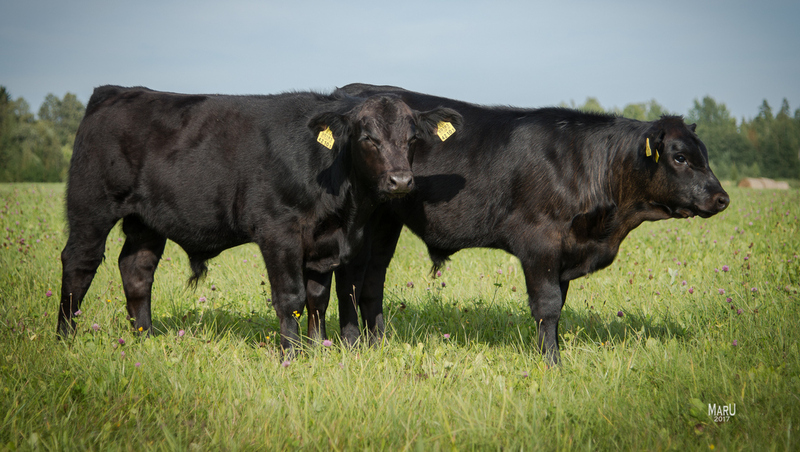 I have pedigree Aberdeen-Angus cattle. At this moment in time I have 12 dams, 32 heifers, 11 calves and 2 herd bulls. 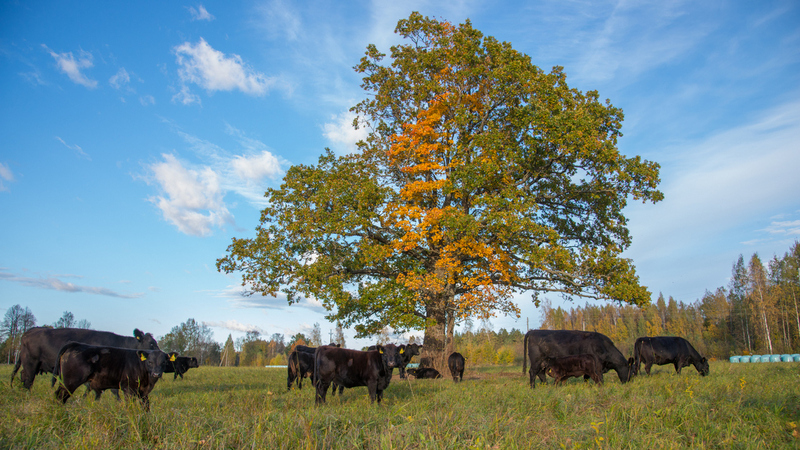 My goal is to have up to 30 dams in our cattle and produce the best-breeding animals for Estonian livestock farmers. What is the climate like and how does it affect you? “Bad skiing weather year around” is how we ourselves describe the weather in Estonia. We have four seasons of near-equal length. The warmest month is July with average temperatures around 16.3 - 18.1 °C and the coldest month is February with average temperatures from -3.5°C to −7.6 °C. Farming is quite a challenge with our weather conditions. There are years where farmers can't even collect their crops because it has rained so much and the land is too soft to carry machinery. 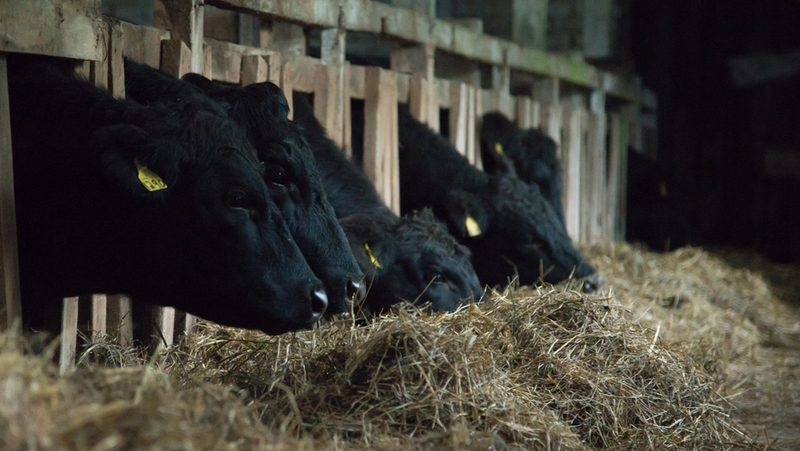 Extremely cold temperatures can freeze the water pipes so providing drinking water for cattle can be quite tricky. Carrying hay and silo rolls for cattle in the winter season can also be hard work when the land is so muddy and soft, and of course, the tractor digs itself deep into the mud. Spring is usually a very moody season - it can still snow in April/May time, but you can also have a thunderstorm. The heat waves arrive in May with temperatures as high as 20-30°C. Summers can differ from each other like day and night. One year it can be extremely rainy and cold, the next dry and hot. Autumn is usually wet and windy but sometimes we have a nice “Indian summer”. The first snow ordinarily comes in late October or November but it melts quickly. In winter, the nights can drop as low as -35°C. In recent years we haven't had much snow so when it is cold, we tend to have ice all around. What does a typical day consist of? It begins with calving season in March and my days, and sometimes even nights, are all about calving. Soon after this, I start to look for cows in heat to start artificial insemination. This is done naturally, as I have an organic farm. Meanwhile, if the grass has started to grow, the cattle move out to the fields and in July, the sires go to cows. August is by far the easiest time on our farm as pure grazing season starts, and we move cattle from one field to another. In October, the cattle come back in and I have to start to feed them daily. Occasionally the tractor will break down and I have to feed 50-70 heads by hand. These are the hardest times. But working on a farm every day of the year means you have to know about everything and be able to take on different situations. I started my farm from ruins and it needs big investments which are hard to gather or find. It’s very difficult to build up something with just passion and hard work. I have to compete in the market with experienced farmers and companies who have more room to play with prices and of course, they have already got clients who know them well. I love cattle and working with animals. When I was a small girl I got lost, and all my family were out looking for me. They found me in the fattening bulls barn sleeping on the haybale. The sound in the barn when all cattle are eating and everything else is quiet still gives me some kind of inner peace - it makes me feel that all is ok.